Saanich resident Lana Popham announced today that she is seeking the nomination for the BC New Democratic Party in Saanich South. David Cubberley, the current MLA, announced this summer that he will not seek re-election. Popham is well known in the community as an organic vineyard owner, environmental activist and small business person. She serves on Saanich’s Planning, Transportation and Economic Development Committee, the Peninsula Agricultural Commission, the Investment Agriculture Foundation , and the Islands Organic Producers Association. Recently she successfully launched a campaign - Think Outside The Bag - to reduce the use of throwaway plastic grocery bags. This spring Popham received a CFAX Community award for her environmental advocacy, placing as a runner-up for the annual top Community Leader prize. Popham is involved in many other issues including protection of agricultural land, urban and rural food security, sustainable transportation and affordable housing. Popham counts Cubberley as a mentor and supporter. “I'm excited someone of Lana's caliber wants to enter provincial politics and will work hard to get her elected,” said Cubberley. 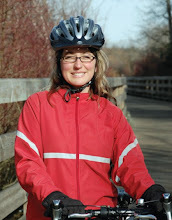 "Her activism shows how much she values the quality of life in Saanich and demonstrates how our region can grow more sustainability." Lana, 39 years old, is married to Jon, an Oak Bay firefighter and they have a 10-year-old son, Kye. The provincial election is on May 12, 2009. No date has been set yet for the Saanich South nomination meeting. For more info, please contact Lana at 250 507 4222.